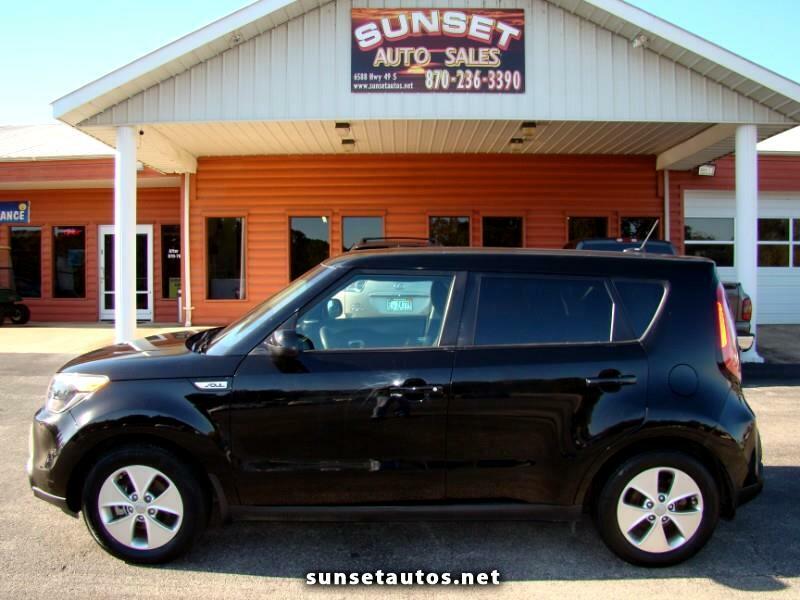 This is a gorgeous 2016 Kia Soul, 53,000 miles, 4 cylinder, black with black cloth, automatic, 17" alloy wheels, cruise, tilt, power windows, power steering, power locks, cd player, dual airbags, air conditioning, ABS, tint, keyless entry, and floor mats. This vehicle runs and drives great, its very smooth too, the body also looks great. The interior is in terrific shape also, the seats look very nice, the wheels and tires are like brand new. This can make someone a very nice suv that is in excellent condition and very well maintained, it will come with a rebuilt title due to prior left door damage. Sorry no financing, for more information call us at 870-236-3390 or 870-761-7123 today to schedule your test drive.